As I have been saying for years, the annual financial statements, CAFR, and budget reports of corporations and government agencies both private and public are the best source of deep information. In the case of an organization like the Defense Advanced Research Project Agency (DARPA), we can find otherwise un-discussed descriptions of its “projects” simply because an agency of government that is allotted government funding must “justify” its budget. In order to justify these “advanced research projects,” mostly (and ultimately all) for military purposes, a semi-detailed description is provided in DARPA’s budget report that otherwise would not necessarily be discussed on the nightly news, or even in congress. On page (Volume 1-v) toward the beginning of the report we can see that the executive budget for DARPA is for the 2014 fiscal year an appropriation by congress of $2.685 billion dollars. So what dismal future are we municep proles personally paying for under national appropriation of the national debt? Defense Research Sciences, Biomedical Technology, Information and Communications Technology, Cognitive Computing Systems, Machine Intelligence, Biological Warfare Defense, Materials and Biological Technology, Advanced Aerospace Systems, Command, Control, and Communication Systems, Network-Centric Warfare Technology, Sensor Technology, and of course Classified DARPA Programs. The Defense Research Sciences Program Element is budgeted in the Basic Research Budget Activity because it provides the technical foundation for long-term National Security enhancement through the discovery of new phenomena and the exploration of the potential of such phenomena for Defense applications. It supports the scientific study and experimentation that is the basis for more advanced knowledge and understanding in information, electronic, mathematical, computer, biological and materials sciences. The Bio/Info/Micro Sciences project will explore and develop potential technological breakthroughs that exist at the intersection of biology, information technology and micro/physical systems to exploit advances and leverage fundamental discoveries for the development of new technologies, techniques and systems of interest to the DoD. Programs in this project will draw upon information and physical sciences to discover properties of biological systems that cross multiple biological architectures and functions, from the molecular and genetic level through cellular, tissue, organ, and whole organism levels. The Math and Computer Sciences project supports long term national security requirements through scientific research and experimentation in new computational models and mechanisms for reasoning and communication in complex, interconnected systems. The project is exploring novel means to exploit computer capabilities; enhance human-to-computer and computer-to-computer interaction technologies; advance innovative computer architectures; and discover new learning mechanisms and innovations in software composition. It is also fostering the computer science academic community to address the DoD’s need for innovative computer and information science technologies. Additionally, this project explores the science of mathematics for potential defense applications. The Cyber Sciences project supports long term national security requirements through scientific research and experimentation in cyber-security. Networked computing systems control virtually everything, from power plants and energy distribution, transportation systems, food and water distribution, financial systems, to defense systems. Protecting the infrastructure on which these systems rely is a national security issue. The Cyber Sciences project will ensure DoD cyber-capabilities survive adversary attempts to degrade, disrupt, or deny military computing, communications, and networking systems. Basic research in cyber security is required to provide a basis for continuing progress in this area. Promising research results will transition to both technology development and system-level projects. The Electronic Sciences project explores and demonstrates electronic and optoelectronic devices, circuits and processing concepts that will provide: 1) new technical options for meeting the information gathering, transmission and processing required to maintain near-real time knowledge of the enemy and the ability to communicate decisions based on that knowledge to all forces in near-real time; and 2) provide new means for achieving substantial increases in performance and cost reduction of military systems providing these capabilities. The Materials Sciences project is concerned with the development of: high power density/high energy density mobile and portable power sources; processing and design approaches for nanoscale and/or bimolecular materials, interfaces and microsystems; and materials and measurements for molecular-scale electronics. The Transformative Sciences project supports scientific research and analysis that leverages converging technological forces and transformational trends in the areas of computing and the computing-reliant subareas of social sciences, life sciences, manufacturing, and commerce as a means of improving military adaptation to sudden changes in requirements, threats, and emerging converging trends. DARPA, from these first project descriptions issued as justifications for their existence and funding (appropriation), appear to be on the cutting edge of officially sanctioned transhumanism and other forms of biological interface with computer systems. From nano-bots to nano-life, much of the weapons research that is mislabeled as “defense” research is apparently never to be seen with the naked eye – a biologically computerized epigenomic infection; defense from the inside out. Don’t forget folks… that oath is supposedly all enemies, both foreign and domestic. So why is your congress supporting the enemy so ardently? The answer is that you are the alien enemy, and DARPA exists as a government agency for the purpose of defense against man, both foreign (alien) and domestic persons. And remember, DoD applications mean nothing more or less than applications in WAR, be it cold or hot, commercial or silent. This project is investigating and developing the intersections of biology, information technology and micro/physical systems to exploit important technological advances and leverage fundamental discoveries for the development of new technologies, techniques, and systems of interest to the DoD. This research is critical to the development of rapid responses to engineered biological warfare agents, radically new biomolecular computers, and novel materials for the DoD. Programs in this project will draw upon the information and physical sciences to discover properties of biological systems that cross multiple scales of biological architecture and function, from the molecular and genetic level through cellular, tissue, organ, and whole organism levels. This project will develop the basic research tools in biology that are unique to the application of biological-based solutions to critical Defense problems. Description: The Bio Interfaces program supports scientific study and experimentation, emphasizing the interfaces between biology and the physical and mathematical/computer sciences. This unique interaction will develop new mathematical and experimental tools for understanding biology in a way that will allow its application to a myriad of DoD problems. These tools will help exploit the advances in the complex modeling of physical and biological phenomena. It is also expected that understanding the fundamentals of biology will aid in developing tools to understand complex, non-linear networks and force structures. This program will also explore the fundamental nature of time in biology and medicine. This will include mapping basic clock circuitry in biological systems from the molecular level up through unique species level activities with a special emphasis on the applicability to human biology. Operational relevance of this research activity includes improving our understanding of sleep-wake cycles, increasing the scientific understanding of deployment cycle lengths, and enhancing our ability to model the dynamics of disease outbreaks. – Identified genomic and epigenomic signatures that dictate spatio-temporal regulation of temporal processes such as cell cycle progression, metabolic cycles, and lifespan using bioinformatic or data mining techniques as a stepping stone to understanding the nature of time in biology and medicine. – Developed in vitro or in vivo cellular systems in which clock components can be altered by environmental pressures, molecular biological techniques or perturbation with various stressors. – Synthesized the minimal set of genomic, proteomic, transcriptomic, or epigenomic input data required for the creation of a predictive algorithm. – Define spatio-temporal components and signatures by creating experimental test platforms and assays that will stress and perturb the system to confirm contributions of temporal regulators. – Initiate the development of algorithms designed to predict pertinent time processes active in biological systems (e.g., sleep cycles, metabolic cycles, and disease outbreak cycles). – Refine temporal signature networks and libraries that dictate temporal process regulation for determination of minimal datasets necessary for validated models. – Develop and validate algorithms of temporal processes associated with developmental processes in prokaryotic and eukaryotic systems. – Experimentally validate canonical spatio-temporal episequences, and develop a minimal dataset for accurate predictions of temporal processes such as cell cycle progression, metabolic cycles, and lifespan. – Refine predictive algorithms of the progression of biological time. – Develop and test the predictive model or algorithm against a blind panel to predict doubling time, cell cycle progression, metabolism and lifespan metrics. Description: The Biological Adaptation, Assembly and Manufacturing program is examining the structure, function, and informational basis underlying biological system adaptation, and the factors employed by the organism to assemble and manufacture complex biological subsystems. The unique stability afforded biological systems in their ability to adapt to wide extremes of physical and endurance (e.g., heat, cold, and sleeplessness) parameters will be examined and exploited in order to engineer stability into biological systems required for the military (such as blood, bioengineered tissues or other therapeutics). A key new antibody technology will develop the ideal antibody master molecule for use in unattended sensors that maintains high temperature stability and controllable affinity for threat agents. Applications to Defense systems include the development of chemical and biological sensors; tools for strategic military decision-makers involved in information operations, and improved warfighter battlefield survivability. – Combined stability and affinity enhancements to produce “master antibodies” for testing in an existing biosensor platform to demonstrate advanced capability in terms of robustness and potential for multiplexing. 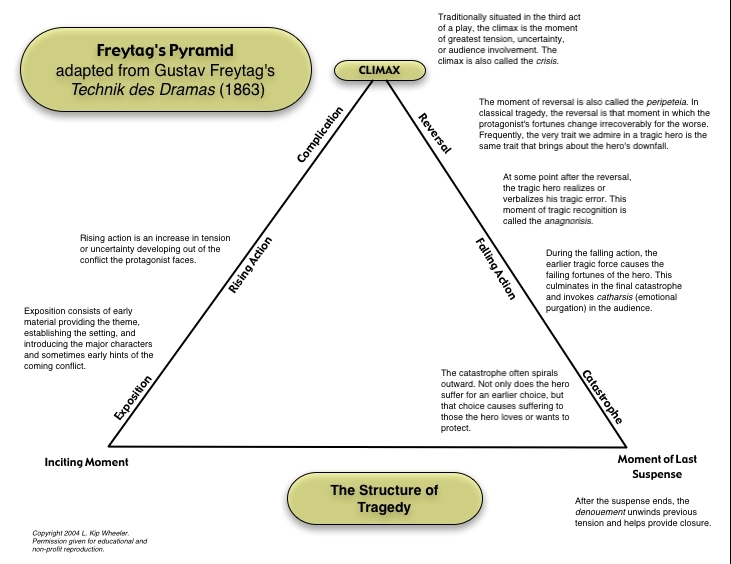 – Explored and refined foundational assumptions on the utility of the Freytag and other structures for narrative analysis, including determining relationships between decomposed narratives and neuropsychological mechanisms, and between narratives and behavior. – Developed decomposition frameworks and initial cluster of neurobiological mechanisms to better understand their relationship. – Developed tools to link analytic frameworks, neural mechanisms, and environmental variables to particular narratives. – Develop sensor suite technologies based on neurobiological mechanisms to measure narrative effect on individuals/groups in real-time. – Study generalized findings in relation to distinct sub-groups to elucidate potential differences across varying cultures. – Incorporate findings about the neurobiology of culture-dependent and culture-independent variables into models and simulations of narrative influence. – Refine sensor suite technologies. The Quantitative Models of the Brain program will develop a new mathematical paradigm for understanding how to model reasoning processes for application to a variety of emerging DoD challenges. Critical to this endeavor will be determining how information is stored and recalled in the brain and developing predictive, quantitative models of learning and memory. Using this understanding, the program will develop powerful new symbolic computational capabilities for the DoD in a mathematical system that provides the ability to understand complex and evolving tasks without exponentially increasing software and hardware requirements. This includes a comprehensive mathematical theory to extract and leverage information in signals at multiple acquisition levels, which would fundamentally generalize compressive sensing for multi-dimensional sources beyond domains typically used. New insights related to signal priors, task priors, and adaptation will enable these advances. This program will establish a functional mathematical basis on which to build future advances in cognitive neuroscience, computing capability, and signal processing across the DoD. The quantitative models of learning and memory will also lead to improvements in the training of individuals and teams as well as advances in cognitive rehabilitation (e.g. PTSD). – Developed detailed mathematical prior-knowledge representations and associated models for imaging and radar applications. – Exploited the new theoretical measurement framework together with novel forms of prior knowledge in order to minimize resource requirements and maximize information gathering, from sparse sampling. – Demonstrated the utility of new compressive measurement theory via improvements in imaging and radar applications. – Identify fundamental bounds on performance and cost associated with linear and nonlinear signal priors. – Demonstrate novel reconstruction algorithms that incorporate both signal and task priors to enable improved reconstruction quality and/or reduced measurement resources. – Demonstrate visible imaging using 10x fewer measurements than reconstructed pixels. – Demonstrate RADAR imaging using 10x less bandwidth than a conventional non-compressive system. – Exploit the benefit of adaptation in order to achieve additional reductions in performance and/or measurement resources. – Exploit the benefit of information-optimal measurements within a signals intelligence application. – Demonstrate hyperspectral imaging using 100x fewer measurements than reconstructed voxels. – Explore application of compressive sensing concepts to alternate sensing modalities such as X-ray imaging. – Investigate the potential gains available from compressive sensing within a video application. – Leverage advances in neuroscience and neurological measurements to develop predictive, quantitative models of memory, learning, and neuro-physiologic recovery. Description: Understanding the fundamental physical phenomena that underlie biological processes and functions will provide new insight and unique opportunities for understanding biological properties and exploiting such phenomena. Physics in biology will explore the role and impact of quantum effects in biological processes and systems. This includes exploiting manifestly quantum mechanical effects that exist in biological systems at room temperature to develop a revolutionary new class of robust, compact, high sensitivity and high selectivity sensors. Finally, the quantum phenomena uncovered will be exploited to control the attraction of insects to humans with the potential to completely eliminate insect bites and thus the transmission of parasitic, bacterial or viral pathogens. – Developed theory and performed simulations for the transduction of the magnetoreception signal on the visual field. – Developed concepts and initial designs for sensors inspired by biological quantum effects. – Developed a general theory for photosynthetic transport, governed by a single parameter, that shows that it is an example of a quantum ‘Goldilocks effect‘, i.e., the degree of quantum complexity and coherence is ‘just right‘ for attaining maximum efficiency. – Formulated a new concept of “excitonic circuits” (that concentrate and direct excitons as in photosynthesis) and designed generic circuit elements. – Verified that molecular vibrations, and thus quantum effects, are essential to describing olfaction. – Develop prototype synthetic sensors that utilize biologically inspired quantum effects and model their performance. – Demonstrate the ability to control quantum effects in biological systems by reorienting magnetoreception through the radical pair mechanism using radio frequency fields. – Demonstrate the biological and evolutionary advantage of quantum effects in photosynthetic systems. – Demonstrate prototype quantum biological sensors against their equivalent state-of-the-art sensor and quantify the increase in sensitivity, selectivity and other performance metrics. – Explore quantum physics-based mechanisms of mosquito bio-sensing related to mosquito attraction to humans for novel, vector-born disease protection against diseases such as malaria or dengue fever. Please download and share this insanity and distortion of nature with all you can. The report has another 300 pages! This is war on the micro-scale, a scientific dictatorship on the cellular and epigenomic level. And you are its as of yet un-transcripted, reprogrammable enemy. Thanks, Clint. The massive amount of Care needed by you to begin your work, and always to be maintained in the processing of it, is routinely evident in the fruits it yields; that your energizing Care is a consistently Pure One (which is a most rare quality) deserves and earns my Total Gratitude, and it’s utterly inspiring! FY 2014 DARPA Budget Justification: “Explored and refined foundational assumptions on the utility of the Freytag and other structures for narrative analysis, including determining relationships between decomposed narratives and neuropsychological mechanisms, and between narratives and behavior.” The relevance of this sentence can’t be understated as the axis of DARPA’s work, ultimately, as can be inferred from this sole source document, is its ability to manipulate and maintain complete and total control of RNA and DNA on a universal scale; and what is RNA and DNA if not a biological organism’s (and yes this includes any flesh and blood living man or woman or boy or girl!) Creation Script, from its inception to its ending — DNA authoring the script, the narrative, got from its Source Creator, and RNA, likewise uniquely got, printing it out, or publishing it, to be interpreted and expressed, in a manner without like or kind of any other, by that specific organism or Being, fractionally representing or minutely mirroring some miniscule, though utterly unique, aspect of its Creator. DARPA has seemingly commandeered the fundamentals of the Natural work of Creation, Clint, and the implications are crystal clear and utterly astounding; we may quite literally be witnessing the very near condition of the End of Man’s Consciousness of God upon planet Earth, in our very own Time. I say “may”, Clint, because damnit, science still tells me that the operation of the vast majority of a man’s DNA is still completely unknown to it, and that God is far more hidden than any of us, or all of us together at any moment and given an infinite number of collective lifetimes can possibly even remotely ever begin to even imagine. Damnit, Clint, God has given us an out, and we’ve got to find it! They will not win, Clint. They. Will. Not. Win. Thanks Angelo, and God help us all. Clint, a couple years olde, but here’s additional angle on DARPA research ::: weaponizing narrative. http://starlarvae.blogspot.com/2013/03/the-official-story-narrating-public.html You’ll get creeped out reading it. You know, people can learn a lot from fear. With your collective skills I believe you could come up with the scariest movies of all time and scare this world straight for generations upon generations. Radio Show Number 431! August 28, 2015 | Corporation Nation Radio Archives!! Radio Show Number 432, August 31, 2015 | Corporation Nation Radio Archives! !